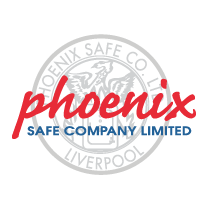 The Phoenix Fire Ranger sets new standards for protection against fire and burglary attack in an economic, convenient and attractive format. 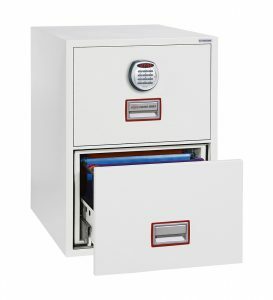 FIRE PROTECTION (PAPER): Provides 30 minutes fire protection for paper records at 500°C. 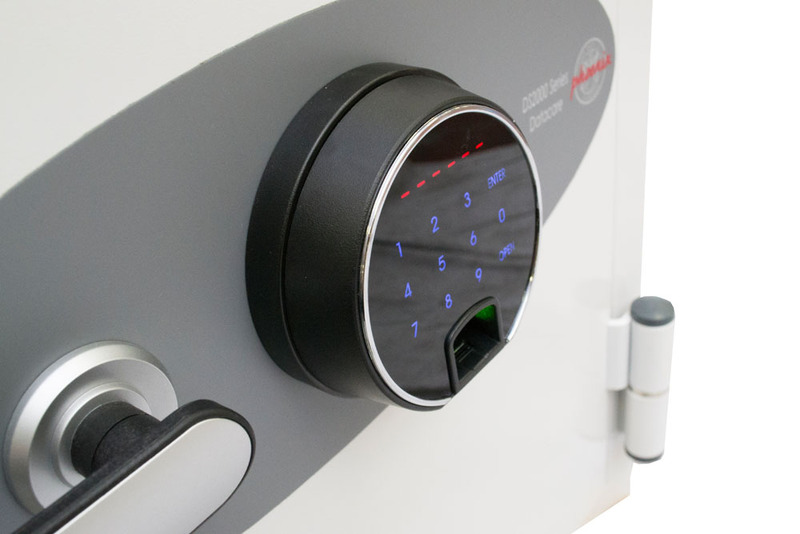 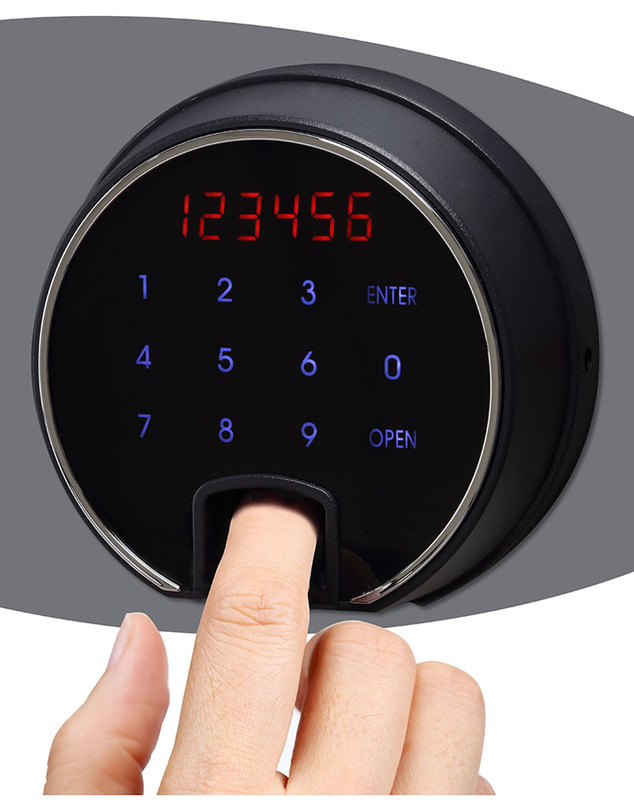 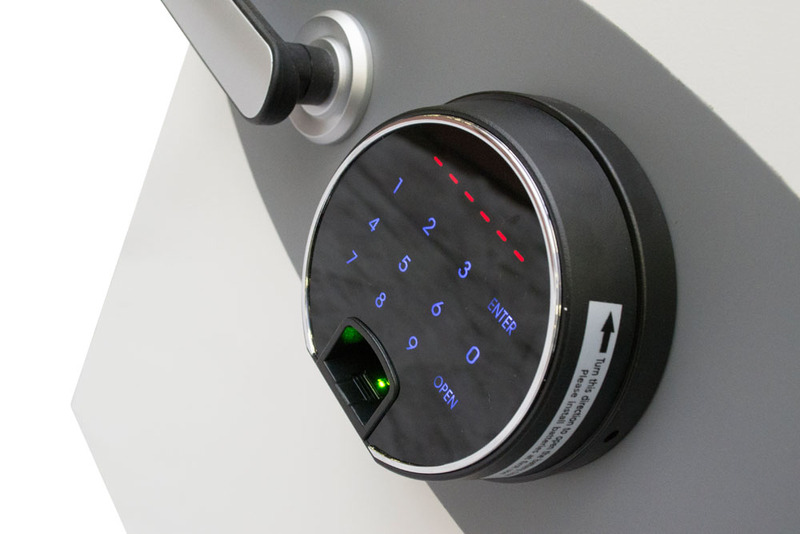 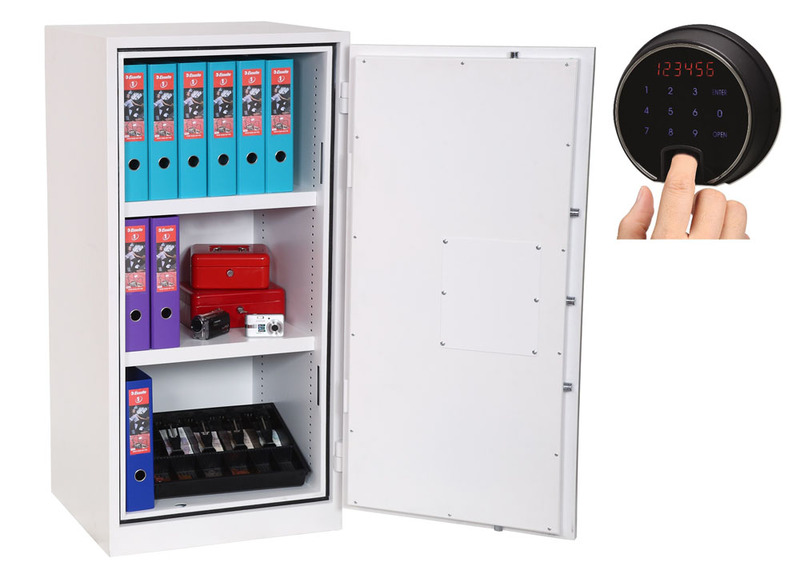 LOCKING: Fitted with an advanced high security touchscreen keypad & fingerprint lock with clear LED display, dual control, hidden code and scrambled code that can be programmed as standard with up to 128 fingerprints. 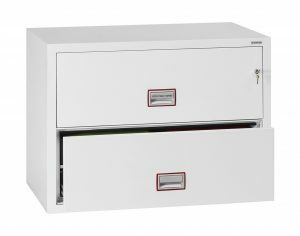 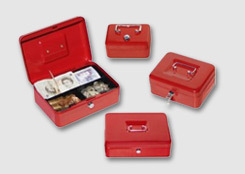 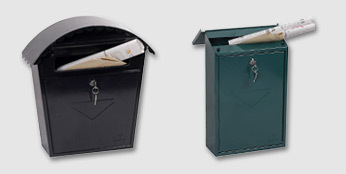 SECURITY PROTECTION: Recommended for overnight cash cover of £1,500 or valuables cover of £15,000. 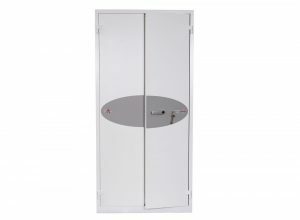 DOOR CONSTRUCTION: High security 3 way espagnolette boltwork provides great strength and attack resistance. 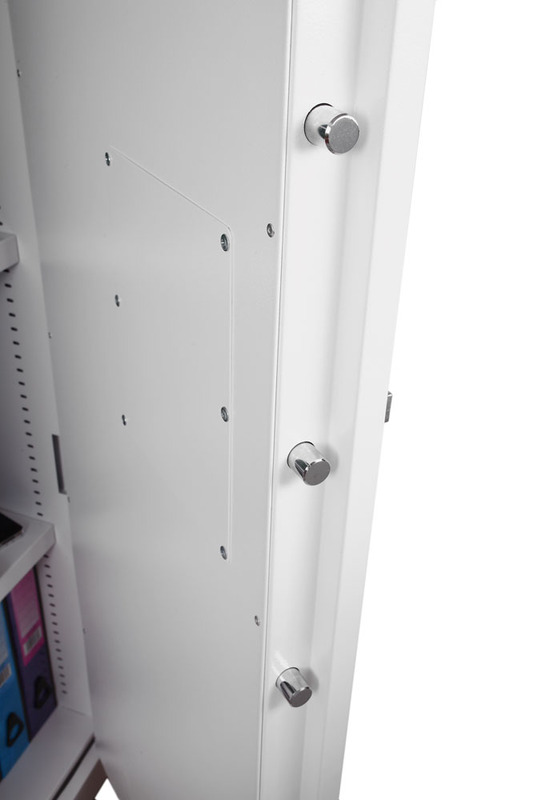 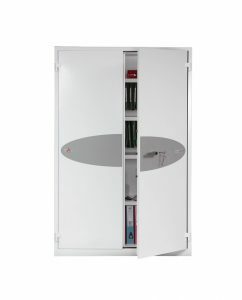 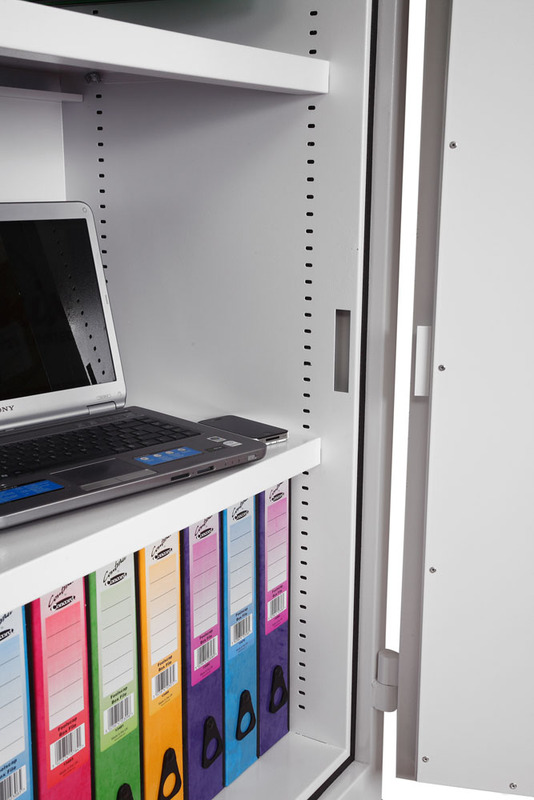 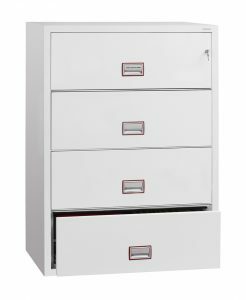 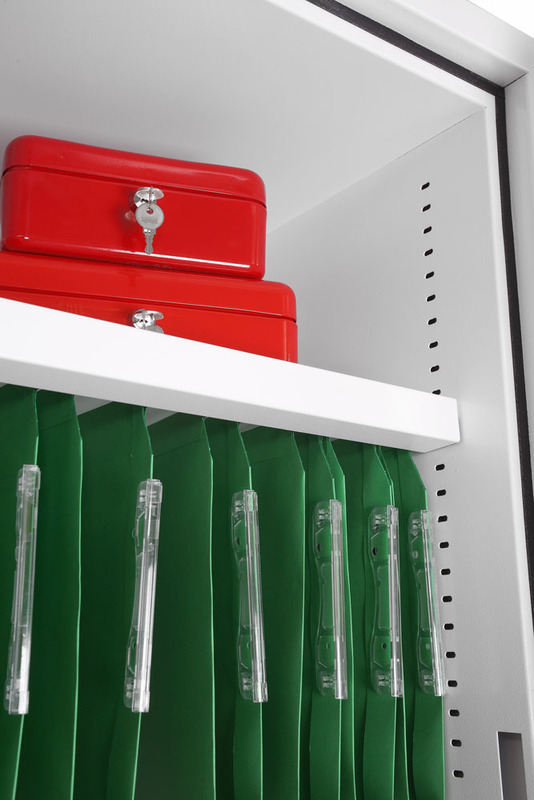 FITTINGS: Supplied with 2 height adjustable shelves that also includes hanging rails for lateral files as standard. 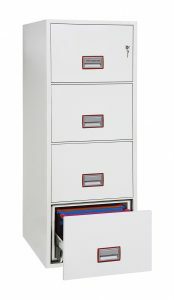 COLOUR/FINISH: Finished in a high quality scratch resistant paint RAL9003 White. 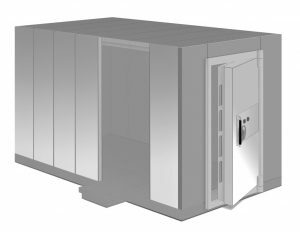 A specialist Safe Carrier will deliver into the building, remove and dispose of packaging and put the unit into place. 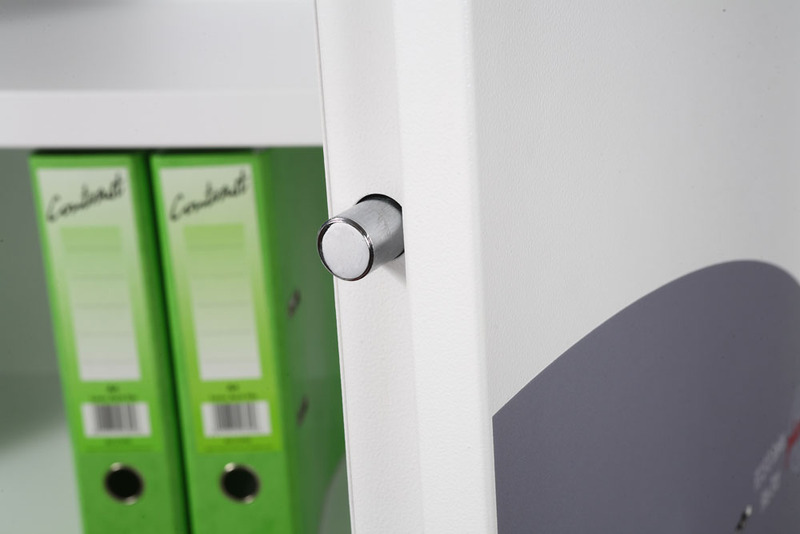 Adjustable Shelf with suspended filing: Customise the interior with an additional height adjustable shelf.